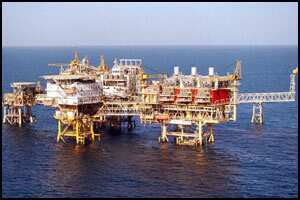 New Delhi: ONGC Videsh Ltd, the overseas arm of India’s biggest explorer Oil & Natural Gas Corp, on Wednesday signed an agreement to take a 25% stake in Kazakhstan’s Satpayev offshore exploration block. While OVL had on 16 April signed a Joint Operating Agreement and Participation Share Agreement/Assignment Agreement with Kazakhstan’s KazMunaiGas Exploration Production to buy a quarter of the Satpayev block, it on Wednesday signed a pact with the Kazakh government to formally become a part of the concession. The agreement was signed by OVL director (Exploration) Joeman Thomas in Astana. OVL paid $13 million as a signing amount to Kazakhstan. In addition, it will pay $80 million as a one-time assignment fee to KazMunaiGas (KMG). On top of this, OVL has committed a minimum exploration investment of $165 million and an additional optional expenditure of $235 million to the project. The Kazakhstan government had in June last year awarded the 1,582-square kilometre Satpayev block to KMG, which remains the operator, with a 75% participating interest. The Satpayev block is located in the North Caspian Sea, in water depths of 6-8 metres, and has two prospective areas that hold an estimated 256 million tonnes of oil and natural gas resources. It lies near four major discoveries. OVL estimates a peak output of 287,000 barrels per day from the Satpayev and Satpayev Vostochni (East) structures. Sources said OVL has an option to raise its stake by a further 10% in case of a commercial discovery. With its entry into the Satpayev block, OVL now has stakes in 33 projects in 14 countries like Vietnam, Myanmar, Russia, Syria, Egypt, Libya, Nigeria, Sudan, Brazil, Colombia, Venezuela and Cuba. OVL has been seeking access to Kazakhstan since 1995 and signed an initial agreement with KazMunaiGas in February, 2005, for cooperation in the hydrocarbon sector. At that time, Kazakhstan identified the Satpayev and Makhambet blocks in the Caspian Sea as acreages in which a 50% stake in either could be given to OVL. However, in 2007, it reduced the stake on offer to 25% on the condition that OVL teamed up with steel baron Lakshmi N Mittal, who has steel plants in that country. Sources said the initial agreement for OVL and its partner Mittal Investment Sarl to pick up a 25% stake in Satpayev was signed during Kazakhstan President Nursultan Nazarbayev’s state visit to India in January, 2009. But in November, 2009, Mittal pulled out of the project and OVL subsequently decided to take the entire 25% stake on its own.